This auto-adjusting CXS+ 200 LED headlamp features 5 different lighting modes. Equipped with an advanced REAX™ sensor, this practical headlamp also benefits from a comfort tension headband system. Designed with light sensing technology, the CXS+ 200 headlamp automatically adapt its beam pattern to the surrounding environment and needs of the wearer. 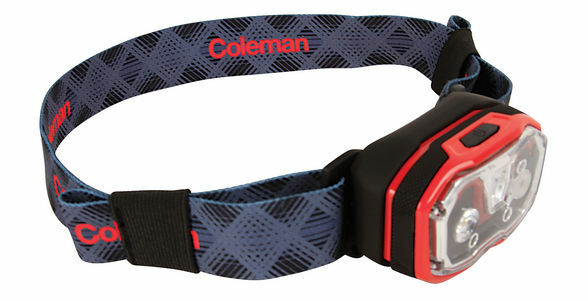 The advanced headlamp also feature Coleman BatteryLock™ technology meaning it is ready to go whenever you are.